Gothtober Day Day 14: PUMPkin starring: Cassils! artists Comments Off on Gothtober Day Day 14: PUMPkin starring: Cassils! Visit www.gothtober.com and click on DAY 14 to see what the latest exercise trend is for fall! 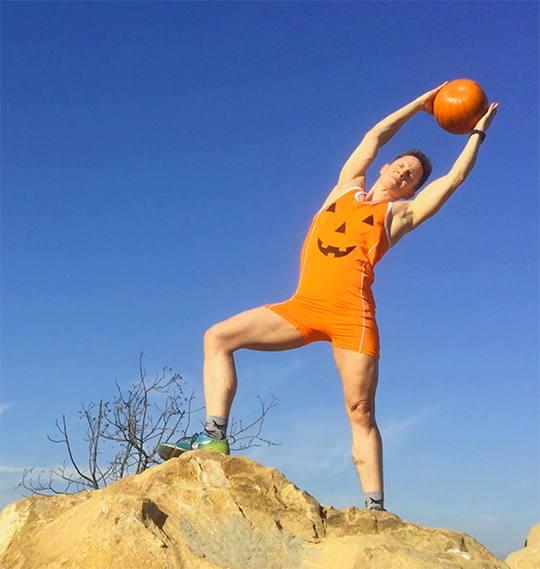 It’s never too late to begin your path to a healthy, strong body, and Cassils is HERE with a new program called “PUMPkin.” It involves a rigorous fitness routine combining meditation, transformation, jubilation, fabulation, and really a lot of orange-colored fall season squash. This is your cornucopia of fully-realized components, bringing you the work/life balance you’ve always dreamed of, the workout is only 6 hours long, and you’ll feel the results instantly! Seriously though, the feats captured in this informercial are REAL, showing the raw power that Cassils packs into an explosive display of glorious and challenging calisthenics right before your very eyes. Find out more about Cassils and JP here! Gothtober Day Friday the 13th with Federico Tobon of Wolfcat Workshop! 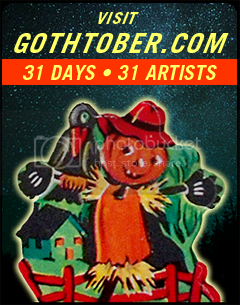 artists Comments Off on Gothtober Day Friday the 13th with Federico Tobon of Wolfcat Workshop! Visit www.gothtober.com and click on DAY 13 for an instructional video and downloadable paper craft from Federico Tobon! Happy FRIDAY THE 13th! Welcome to a BLOODY game of cat and mouse! I suppose you can decide how much mayhem in this scene will play out when you download, print and build the components yourself. Federico has made for us a Kitty-Jason Voorhees-themed folding paper project involving a mask-wearing feline and a rodent that will surely meet its fate! If anyone invites you to Camp Crystal Lake tonight, tell them you can’t go because you have important paper crafts to make… I hear it gets a tad boisterous, out there in the woods, some pesky death curse or whatever. 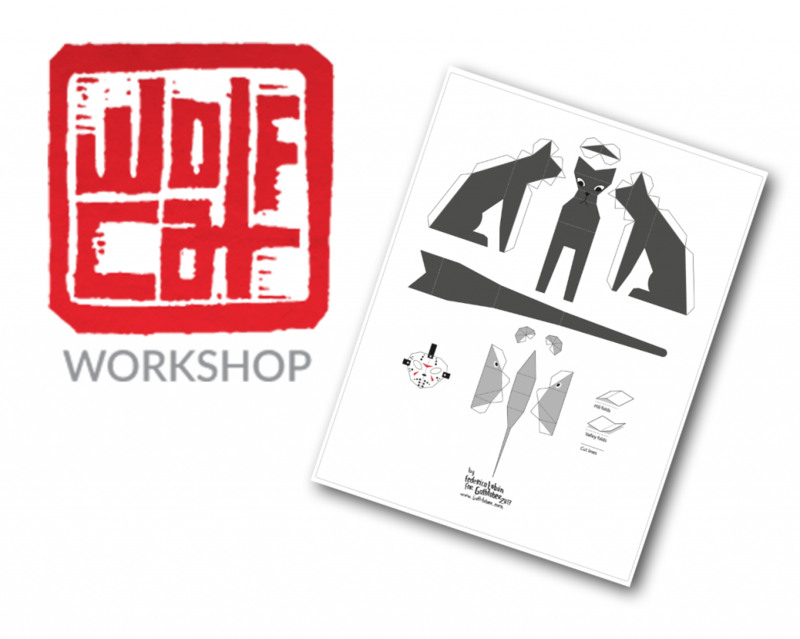 Find out more about the artist, Federico Tobon, and Wolfcat Workshop here!